The Monkey House: The Monkey House, in the picturesque seaside town of Lymington is a family run Inn bringing all the elements of the classic British pub which everyone can enjoy; Home cooked food; Log fires and excellent service. Iain, Ruth, Georgia and Sophie would like to welcome you with open arms, whether it’s for a quick bite to eat, a special occasion or maybe just even to socialise with some of the colourful personalities who reside in this charming town. The extremely talented head chef and his team prepare daily specials that will definitely tickle your taste buds. Not to mention Britain’s favourite: the roast dinner every Sunday. To complement the ‘bistro chic’, relaxed atmosphere, the Monkey House will be regularly hosting live musicians from around the local area. Anything from vintage classics to up and coming contemporary artists destined for the stars! The Robertson family will be delighted to see you, please come and see what they have to offer! There are no rooms available at The Monkey House for these dates. Very friendly and helpful staff. Excellent chef, the food was delicious. Comfortable room and a lovely garden. Loved our one night stay at The Monkey House Our room was spotless lovely white cotton bedding and white fluffy large bath towels and lovely toiletries Sunday lunch was really really good and in the evening we shared a cheese board bottle of wine and enjoyed the live music Breakfast was ok All in all would highly recommend the Hotel. Staff were friendly and very helpful especially Chris as he found me a phone charger !!! very friendly staff,cosy comfortable accommodation in a good location to access the new forest.Excellent food. All staff very friendly and make you feel welcome. Great atmosphere in the pub and restaurant. Rooms have everything you need and styled nicely. The staff were extremely helpful but not obtrusive. The food was excellent, especially the cod in moray sauce. The atmosphere was very warm and buzzing as it is a popular pub and yet our room was not noisy. The Beaulieu Estate and Bucklers Hard where there is a lovely walk along the Beaulieu river were great. Highcliffe castle grounds and the beach was a good walk. We eat one night at the Haven Inn on Mudefoot Quay which was good pub grub with a good atmosphere. Wonderfully friendly staff. Great atmosphere in the restaurant. Excellent food. Great breakfast. Room was comfortable and bathroom good. Definitely eat here but make sure you book. We couldn’t believe how busy the restaurant was on a Thursday night straight after New Year. Every member of the team at The Monkey House was friendly and welcoming. We had a wonderful short break. 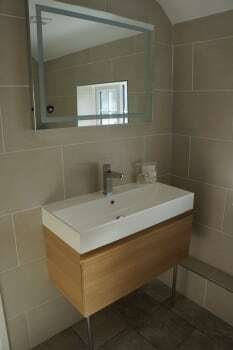 The bedroom was decorated to a high standard with a well presented bathroom. The New Forest toiletries were a lovely touch along with plenty of tea, coffee etc in the room. Lymington was a 10 minute walk away from The Monkey House with a nice market and lovely walks down to the quay and along the river. We’ve given the location an excellent more for being an excellent base for exploring the forest rather than enjoying the views from the bedroom or garden. It’s very conveniently situated to reach places easily. Always a nice and warm reception from Ian & the staff. Thanks. Very clean and comfortable with friendly staff. Will stay there again. Friendly relaxing atmosphere. All staff were polite & helpful throughout our stay.Our room was spotless and very comfortable.Breakfasts are hearty and dinners are excellent. Would fully recommend to all. A visit to Burley is a must. Just a few cob webs in our room by the curtain rail and on the ceiling. A wonderful experience felt we were old friends with all the staff if at all possible we will return. Lovely stay. Staff were friendly and welcoming. Food was most enjoyable and a very comfortable room and bathroom. Stairs were a little tricky for us but we realise that there is not a lot you could do about that. Loved the locals in the bar who were very smiley and chatty to us. Try to book room 1 as 2 looked a bit small. Fine for one though. Lymington is an interesting place to visit with it's Quay and harbour and enjoyed seeing the ferries sailing to and from The Isle if Wight. Good little boutiques for ladies who like shopping. I bought 4 Christmas presents while we were there. Room one had a shower over the bath. Lovely spacious room with plenty of storage and tea/coffee facilities and bottled water. Very clean and lovely friendly welcome when we arrived. Restaurant was a cosy area with log fires burning in the wintertime. Food was fantastic. All the staff were so friendly and helpful, wanting us to enjoy our stay. Restaurant at Monkey House was perfect. Things to do nearby are walk around Salt Marshes in Lymington, coast path walk along Milford on Sea and Barton on Sea. Lovely forest walks in Brockenhurst. Walk from Beaulieu to Bucklers Hard. If you do want to try another restaurant try The Beach at Milford on Sea. Friendly and welcomimg. Good location for Lymington town centre and ferry to Isle of Wight. Lively pub in evening with good cask ales. Pleasant restaurant with good food and service. Beautifully decorated and very comfortable. 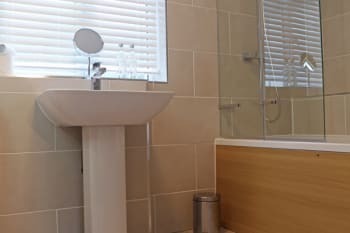 the monkey house is within easy walking distant to the town centre ,quay,bus and railway station.plenty of parking available at the monkey house and in town if you want to use your car. Very friendly helpful staff, good food. We really enjoyed our stay, dinner and breakfast were excellent. Very welcoming and attentive staff. Recommend booking for dinner at The Monkey House if you need to eat at a particular time! Beautiful clean and well appointed room in an excellent gastro pub. Walk down to the quay and have a glass of wine at the Cellar Tasting House. Pleasant walk to the town lots of resturants and local pubs.Monkey house is friendly and popular with the locals. Welcoming, friendly,comfortable, excellent value for money. Only a ten minute walk into town. Friendly and helpful staff, pleasant room, excellent shower. Very friendly staff, from booking, welcome/check-in, drinks, food, breakfast and check out. Over the past 3 weeks we have stayed at The Mayflower and once at Stanwell House (awful). We paid £200 for both rooms which we felt a good price. We would definitely stay at The aminkey House again. Excellent food, the rooms are immaculate and attention to detail is second to none. Very friendly warm welcome. We loved this place all the staff are absolutely lovely and nothing is too much trouble for them. Lymington itself is a lovely place to explore as is Christchurch and Mudeford. Lovely old building, great area, easy parking. The restaurant was good and obviously well liked locally as it was very busy. Nice room, great bathroom and overall great facilities, fairly quiet considering the road and the lively bar. Shame I couldn't have breakfast as I had to leave early! Staff were very friendly, made me very welcome. Would stay again. Very helpful and friendly staff. 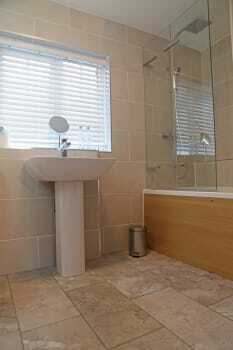 Lovely room and bathroom. We enjoyed our evening meal too. The only downside for us was the traffic noise which was constant throughout the night, and being a warm night we had to have the window open. Very handy for anyone traveling on to the Isle of Wight. Friendly team. Bedroom 1 with bath was excellent. Breakfasts good and restaurant food good. Delicious food very good value. Room wonderful - attractive, everything worked. Thank you, a lovely surprise. Worth the walk into Lymington which still has interesting small shops. a bit further on is the marsh and sea wall: wonderfully atmospheric and peaceful. Take the ferry to Hurst Castle. We were warmly welcomed and shown to our room - very comfortable and spotless. Lovely pub and restaurant downstairs. Highly recommended. The food at the Monkey House was excellent! Friendly staff - lovely surroundings and reasonably priced. Wouldn’t go anywhere else. Short distance from Southampton and Lymington. Extremely helpful. We were attending our friends wedding party. The Monkey House was very close to the venue which meant we could walk. Wardrobe space would be useful if staying for longer than one night. It is on a noisy road, but luckily it is quieter at night. all staff made you feel as though you were the only ones there,from cleaners to owners, rooms, (and we stayed in both, are top notch. 5 stars plus to the chef, every dish was a delight to eat, a bonus, he came round and conversed with us, well done as know you only took over 4 years ago, decor from bar to rooms cannot fault. Even the ladies in the bar designed like a stable, excellent, got to be seen to appreciate, local products, from soap upwards, totally spotless throughout. well done and thank you for making us feel so at home. ideal spot, everything within 6 few miles, from beaulieu to bucklers hard, exbury gardens and steam gardens, plus lepe beach and country park, many good local pubs and inns on the way, if dog lovers please buy charlie's dog treats, they are home baked, brought some, my dog loved them, check out the sight on line. Lovely friendly staff and all meals first class. We visited Lymington town and Christchurch after our last trip many years ago.The area was very clean with much to see and the parking we found was reasonably priced compared to our local prices. The cafes and restaurants are to many to list but all good. Watch out for potholes in the forest roads though we found a particularly large one!! My husband and I had a most enjoyable stay with you. Lovely accommodation. Very friendly, helpful staff. The restaurant has a lovely ambiance and the full English breakfast was very tasty and set up for the day. We will be back! Excellent communication, very friendly staff. the food was exceptional, great atmosphere. Lots to see and do in and around the New Forest Or, take a trip to the beach. Although this is on a busy road the staff and room certainly made up for that. Ian and his team simply couldn’t do enough for us and are immensely welcoming. 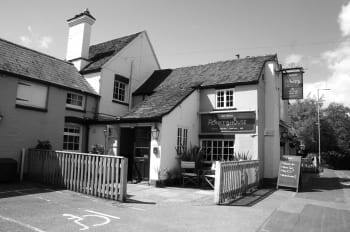 The food is great as it’s a pub you have dining onsite if you don’t want to venture into Lymington. Lymington is a lovely place to visit and a great venue for an overnight stay when heading over to the Isle of Wight. Water fall shower broken. Last day my room was only half cleaned. Clean things left in the bathroom and teas and coffee not refreshed. Staff and management really friendly. The phone call to see if I had slept in was nice and the offer on doing an early breakfast was appreciated. Thank you for reducing my bill because I did have breakfast. The Monkey House was a wonderful place to stay. The room was very modern and very comfortable. Breakfast was very tasty and plenty of it. Unfortunately I didn't get the opportunity to have an evening meal there but on the evening I arrived the place was buzzing and filled to the rafters with customers - a really lovely atmosphere, so I can only imagine the food was stunning. I had a lot of good comments from people when I told them where I was staying also. The staff were all lovely and very helpful and the host was a very funny and welcoming man. I would definitely stay there again and recommend it to anyone looking for a reasonably priced, comfortable place to stay. Unfortunately I was going to a wedding so I didn't see much of the area but the market on the Saturday was very busy plus I was surprised to see how close to the beach we were so I would look to explore the area further next time. This is a very busy pub/restaurant but the noise did not penetrate to the room above. There is live music on Sunday. We stayed in the deluxe room with en-suite which was very nicely decorated. It faces main road but the double glazing minimised the traffic noise and the road is not busy at night. Comfortable bed. Very welcoming friendly staff. The chef has a very good reputation as indicated by availability of a table meant we did not sit down until 9pm. The food was excellent so book your table before arriving for an earlier time. Well done Chef. Lal Quilla Indian Restaurant in the High Street is another place to try. Good service and reasonably priced. Approx 20mins walk from The Monkey House. Hurst Castle is an interesting place to visit take the ferry from Keyhaven or the walk along the spit is very enjoyable on a nice day. A trip to Yarmouth IOW is a 40min boat ride. You can take the bus around the island. The ferries run every (approx) 30mins. Milford on Sea is a pleasant seaside town, not far by car. Lovely Cosy Establishment with warm welcome and excellent food and drink. Marina and Harbour coastline is lovely. Lovely hotel Beth friendly and welcoming staff. Breakfast was very tasty! The walk to Hurst Castle is fab and very bracing and then you can jump the ferry on the way back! Clean, friendly and nothing is too much trouble for any of the staff. We return again to enjoy the consistently high standards of this well-run excellent place. Iain and his team made us feel very welcome and looked after us superbly during our stay. It is about a 20/30 minute easy walk to Lymington high street and sea front where there are plenty of shops and other facilities to enjoy. We were made welcome from the moment we opened the door. The local beers were excellent. The menu was very good and the food was excellent with a good reasonably priced wine list. Our room was lovely - well presented and very high quality bathroom. Breakfast the next morning cooked & served by the owner Iain was excellent. Make sure that you book a table for dinner when booking a room as the restaurant is very popular. A great base for exploring Lymington and the surrounding area. Good value for money. Friendly and welcoming staff. Comfortable room. Great food in restaurant. Many thanks to all the team. Evening meals were very good. I suggest that you should offer to fillet the plaice as the bones were difficult to extract. Breakfast was only adequate and could be improved. Coffee was too strong and toast was too thick! Your staff are friendly and efficient. Room was comfortable. New Forest is a beautiful area to explore on foot, bike or by car. Recommended attractions are Burley, Lymington, the forest itself and other villages. Great ambience and lovely stuff, professional and attentive. The place has tons of character. Welcoming and professional, The Monkey House is a vibrant and comfortable place to stay minutes from the gorgeous market town of Lymington. our second visit, lovely rooms have stayed in both, very comfortable. great breakfast, we also had our evening meals food was excellent. service was great. locals made us feel very welcome as did Ian and all the staff at the Monkey House . Will be returning again soon . Great location for the New Forest and the lovely town of Lymington . We return again & again in preference to other places to stay in the area because the welcome is genuine and service excellent. I was delighted with my short stay at this high class B and B. The staff couldn't have been more helpful and the owner obviously has very good taste and great cooking skills! The food was delicious and presentation first class. Our en suite room was spacious and very comfortable. Impossible to fault a thing! Can't wait to return to Lymington!! We did have a very pleasant walk at the Quay, having been given excellent directions to get there! The Monkey House is so good,it's a gem and a brilliant find we would rather keep to ourselves. If you are planning a visit to the New Forest or stopping over before sailing across to the Isle of Wight this is the place to stay. 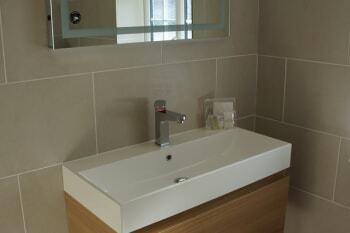 The ensuite bedrooms are lovely; comfortable, clean and with well appointed bathrooms. But the high point of your stay will be the staff; nothing is too much trouble for them; they are so attentive and friendly. Finally, the breakfast. Superb and prepared to your individual needs. And yes, do book a table for your evening dinner, you won't be disappointed! There is so much to see and do in and around the New Forest National Park that a one night stay is clearly not long enough. We stayed for 4 nights and look forward to returning again. First class service from staff, amazing dinner and breakfast. Highly recommended! We enjoyed our short stay.Fare excellent. A relaxed and convivial atmosphere.Silverback Suite special.Hope to visit again this year! Very friendly and helpful. Building clean and fresh. Bedroom excellent and comfortable and bathroom very modern with every facility. A good well kept garden. Food outstanding. Room rate very reasonable for what you get. Don't bother with other restaurants The Monkey House has an excellent chef and as a retired restauranteur myself I would have been proud to serve meals of their quality and quantity. Try the rump of lamb ! Really well looked after, very comfortable room and fantastic breakfast. Short walk into Lymington for the Saturday Market, short drive into the New Forest. We arrived late in the evening and still enjoyed a great welcome, lovely food a a great pint. Excellent food served by happy and friendly staff. In a busy pub. Transport a must to get out and about...Lymington a New Forest jewel. First class food & service. Just outside of Lymington The Monkey House is a pleasant surprise. Considering the guest rooms are just a small part of the business they get that better than most small hotels. The whole team provide efficient, professional & warm customer service. The smallest of the room didn't have a wardrobe but the highend bathroom was supplied with shower gel, shampoo & conditioner. There was tea & coffee, biscuits, bottled water & hairdryer in the room. The food in the spacious restaurant is faboulous and the decor is a mix of modern & traditional that works well. Theres a cosy fireplace, outside space and inviting bar. Breakfast was hearty and it's all backed up with a good wine selection and well kept Ringwood beer pumps. We loved our 2 night stay this October. On the Main Road, 20 mins walk from the main harbour and other pubs restaurant but you wont be disappointed. We walked on the first day to The Haven (faboulous meal)seafood restaurant, walked back along the solent and completed a 7 pub crawl on the way back. It was a long day but the atmosphere back at the Monkey House was the best of all of them. If you drive to Milford on Sea you can park up & walk to Hirst castle but not sure if its suitable for wheelchairs & pushchairs. Lymington harbour was a hive of activity with boat rides and crabbing for kids. Nearly all the pubs had fireplaces and real ale. Your host will help you enjoy your stay! Lovely room and bathroom. The shower head is a bit of a waterfall. Also the stair carpets are very dirty which was a little off putting. The room and bathroom were very clean! Eat at the Monkey House! Sam, Ruth, Hannah and Dan all first class Our stay at the Monkey House superb will be back soon. Very nice walk into Lymington town and Quay - recommend the Kings Head. Beauliu and Bucklers Hard great locations plus driving through the New Forest to see wild donkeys etc. very pleasant. 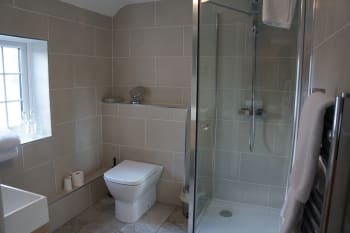 Well appointed room ..could do with more light I the bathroom ..my husband struggled a bit while shaving with lack of light ! ..may be a problem in the winter . We would certainly stay again. We fully intend to return for a meal as well and I would recommend The Monkey House to others. The staff were fantastic as was our stay. Wow!!!!! There are just a few places that you visit which tick all the boxes and the Monkey House is one of them. ALL THE STAFF are confident, knowledgeable and extremely helpful; delivering a personal service which is impressive. We booked an evening meal which was excellent and extremely good value for money; so we knew when breakfast arrived the next morning we would not be disappointed. The only disappointment we had was that we did not stay for longer. Make sure that you book for an evening meal as the restaurant was very busy. Also don't bother going out for food as you will miss out on a great atmosphere. very friendly and helpful staff. Excellent food and service.lovely room. We went for a 'chill out' overnight stay and that is what we got. Lovely rooms. Just noisy in evening but not late into the night. Had a lovely meal too. Not the cheapest but was tasty and good service. Excellent stay, friendly staff. Would recommend and also stay again. Thoroughly enjoyed our stay. This was our second stay at the Monkey House and we were not disappointed. Lovely breakfast to set you up for the day and very attentive staff. Great location for walking into Lymington. As we were Visiting friends it was also centrally located for visiting different areas such a beautiful part of the world. Lars left yesterday,but i can truly say, that my markings are as his and Theas opinion, they were delighted with their room, so wwere his mother and sister, they loved their breakfast, and Ian made them feel welcome.plus made them the breakfast. there is nothing, they could fault on the Monkey House, and i would not have booked them there, if i did not think, it is such a great place. kind regards Karin Berrigan ,Lars's dad is my nephew. the forest very close by is well worth a visit, so is the seawall walk, Beaulieu village, a walk from same village to Bucklers Hard, where you can have a deserved pint,as you have to walk back again. in lymington high Street have a scandinavian treat in the icelandic cafe, Oskubox. Great all round visit ,Iain has a put together a very good team with a can do attitude,We stayed 2 nights and ate in on both as the food was excellent. We will definitely stay again. All day market on Saturdays,Great coastline with lovely walks. all staff very welcoming and friendly, particularly the owner. Excellent breakfast. Make sure you walk into Lymington and visit the market on Saturday and walk the sea wall. If you are a walker do the walk from Beaulieu village to Bucklers Hard. 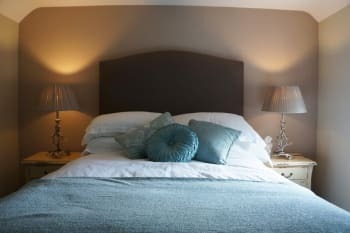 A great stay in a fantastic room, 15 minutes walk from Lymington centre. Service was everything you could ask, the staff went well out of their way to help. The breakfast was one of the best we have had. We ate in the pub one evening and the food was exceptionally good. Highly recommended. Staff very welcoming and friendly. Rooms very well presented and comfortable. Thanks for a great stay. Would do again. For alternative places to go for a drink or some food, visit The Haven or Stanwell House (great accommodation as well!) for outstanding service and food. The Ship Inn is also nice. The room was excellent food was fantastic. The owner and staff were very friendly and made you feel very welcome. The restaurant and bar area with its open fires created a cozy and welcoming ambience . Went to the Haven restaurant which was very good and had a great atmosphere. Lovely little place, great personal service from friendly staff, room was perfect and looked beautiful. Would definitely come back. Lovely pub/restaurant with rooms. Excellent food and friendly professional staff. We stayed and ate at the monkey house and everything was spot on. We had a great stay at The Monkey House, location is good, easy to find and just a 10min walk into the town centre and harbour. Lovely atmosphere, we didn't have dinner in the pub but the food must be good as the place was packed, we had Breakfast the following morning though and it was delicious. Very peaceful nights sleep, very clean etc. would definitely stay again! Excellent accommodation. A very friendly atmosphere. The staff were welcoming and attentive without being intrusive. Food in the restaurant is fantastic. Decor throughout the pub and the rooms is well thought out and appealling. The beds are really comfortable and the room was quiet, even though the pub is on a main road there were no issues with noise. The owner even came out on a wet and windy night to collect us when we weren't able to locate a taxi. Would recommend. Will be returning. The pub serves excellent food however if you want to try different places there are lots of pubs in lymington worth a visit: angel and pig, ship inn, the haven. We ate in the elderflower restaurant..9 course taster menu. Not cheap but worthy of its entry in the latest edition of the good food guide. We absolutely loved our stay at the Monkey House. We were blown away by the service and the friendliness of the staff who really make you feel special whilst you are staying there. At separate occasions we had full conversations with all of the bar staff/owners, and they were only more than happy to pass on local knowledge to us. 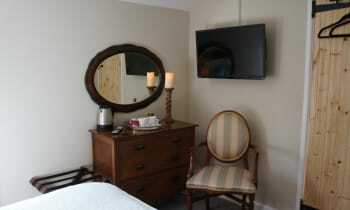 The room was perfect for us, spotless and extremely comfortable. The pub area is very cosy also with a log fire burning away in the far end of the pub, and as we were staying there, we are allowed in the bar area until midnight whilst the staff were cleaning around us, and the food was exceptional. I couldn't recommend The Monkey House highly enough. When we visited it was in the middle of a storm so we didn't have the best weather for a coastal town, but it was still very nice down by the water, and very refreshing. But due to the weather we had to spend a lot of time in pubs, of which Lymington has plenty. We were only there for 1 1/2 days so couldn't really make it out in to the new forest, but that is an activity we will reserve for next time. Best B & B we have ever stayed in. Food is definitely 5 star. Staff could not do enough for us. Drive through Brockenhurst and through to Burley amid the majestic pine forests is magnificent. We had a fantastic stay at the Monkey House! The owners and staff are friendly and welcoming. The food was always lovely and relaxing in front of the fireplace after a long day out was a highlight. The room we stayed in was new, clean and comfortable. We would definitely recommend The Monkey House to anyone staying in the area. Staff excellent - friendly, efficient, hard working. Great atmosphere in pub Sunday evening - very crowded, live music. Food - roast dinner - excellent - no room for desserts. Book a meal at The Monkey House before you arrive, to ensure a table. Lyndhurst - if you like tea, try Tea Total - quirky tea pots. Pick up leaflets from New Forest Visitor Centre - quite informative exhibition. Drive into Brockenhurst village centre, avoiding all the ponies. Sea ater baths at Lymington. New Forest ice cream - blackcurrant sorbet and rhubarb. Walks along Solent Way. Good variety of shops in Lymington. Comfortable, clean, good looking rooms (we occupied two) with large new windows, which can be opened. Huge white towels. Room service! Umbrellas to borrow when rain falls. Superb full English breakfast, with freshest fruit. But most importantly, the people who run it are are kind and accommodating. Many many thanks to Ian. Wouldn't stay anywhere else in Lymington. Eat at the Monkey House! Very good restaurant/pub. They can cook! Both breakfast and dinner. Favorite dish: mushroom tagliatelle. But the sticky toffee dessert is to die for. Eat in, the food is very nice! Staff polite/friendly and nothing was too much trouble. Very relaxing and friendly atmosphere and would definitely stay here again. Accommodation very clean. An easy walk into Lymington where there are lots of shops/restaurants and a lovely quay. Also, easy to travel to Christchurch and Mudeford Quay where the scenary is beautiful. Friendly, spotlessly clean and beautifully decorated room,fabulous food and beers. Will definitely be returning. Highly recommended. You cant go wrong with a stay here..
Stay exceeded our expectations. Very friendly and helpful staff, and a lovely meal well served. Plus a good night's sleep in a room that was clean and comfortable, and not noisy. Great stay. Staff very friendly. Food excellent. Lovely place to stay highly recommended. Wonderful food and wine, while we were there, they had a singer on the Sunday, who was excellent, Lymington is a beautiful place and you don't have to go far for the sea, peace and quiet, or a very busy high street.